Home News Looking for The Best in Steel Fabrication? 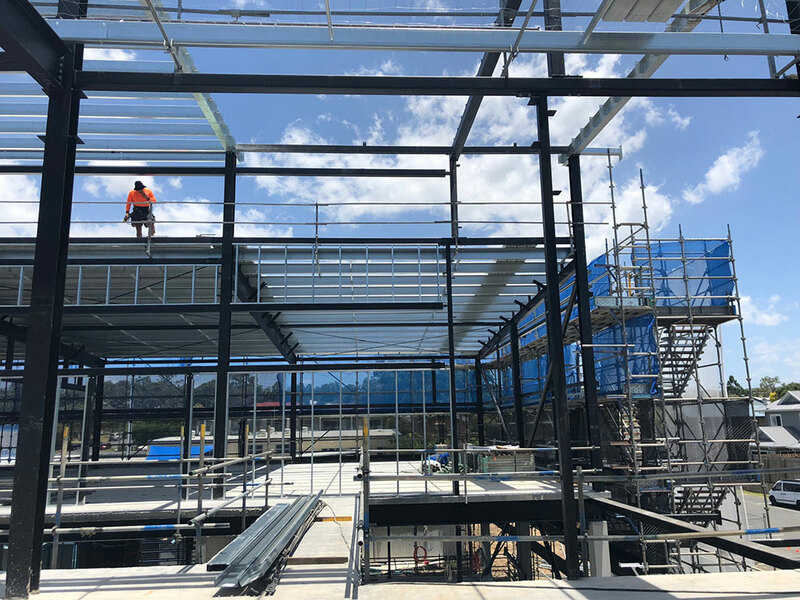 If you are looking for a company that is able to fabricate and erect structural steel works to the highest possible standards, then BridgeFab would love to be involved. Structural steel is the heavy steel that functions as the load bearing piece of any given structure and is used in the construction of transmission line towers, manufacturing sheds and various buildings. At BridgeFab, we specialise in medium structural steel projects that range anywhere from 5 to 300 tons. Structural steel itself has a variety of applications and provides an excellent blend of strength and a flexibility of design. Because of steel’s capacity and its bonding through the welding process, it can be designed and fabricated to almost any shape or specifications. We pride ourselves on being able to take any preliminary designs from our client, architect or engineer and to develop these designs into a viable, low-cost project of the highest quality. Our ability to create custom fabrications that require an immense attention to detail has put us on the map and ensured the satisfaction of our clients over the years. Our skill in this regard is applicable to any project irrespective of its complexity and includes anything that requires steel works from school halls, portal sheds and industrial premises. One of the reasons we are able to do this so effectively is our dedication to the use of state-of-the-art 3D scanning software and drafting technology. This allows us to plan your entire project before fabricating a single piece of steel. By accurately mapping out and providing a digital representation we can show you your project from conception to finished product without the fabrication of any steel. This digitised copy enables us to see the exact way in which in each piece of steel needs to be fabricated and its role in the overall design. This technology limits the number of mistakes and improves efficiency with regards to the installation of the steelwork. At BridgeFab our integrated management system ensures that our clients’ diverse needs are met and exceeded. This is part of our dedication to customer service that works to demonstrate, throughout a project’s life, our passion for providing steel fabrication products of the very highest quality. BridgeFab offers high-resolution 3D scanning services to create metal fabrication you can trust. Established in 2007, BridgeFab is dedicated to providing our clients with excellence in the field of metal and steel fabrication, emerging as a major player in the industry. Using high-quality tools and some of the most advanced technology of steel manipulation available, we are able to tackle projects to a variety of specifications. Our strength lies in our versatility and we are always open to exploring custom metal fabrication and metal forming at the request of our clients. To experience the BridgeFab difference or to find out more about our products and services, please get in touch here.